Helena was born in the Caribbean island of Montserrat in Plymouth and came to live in the UK in 1963 at 11 years old. She was married to the late Elder William Lynch for 40 years who passed away in 2015. They have 3 children and 6 grandchildren. 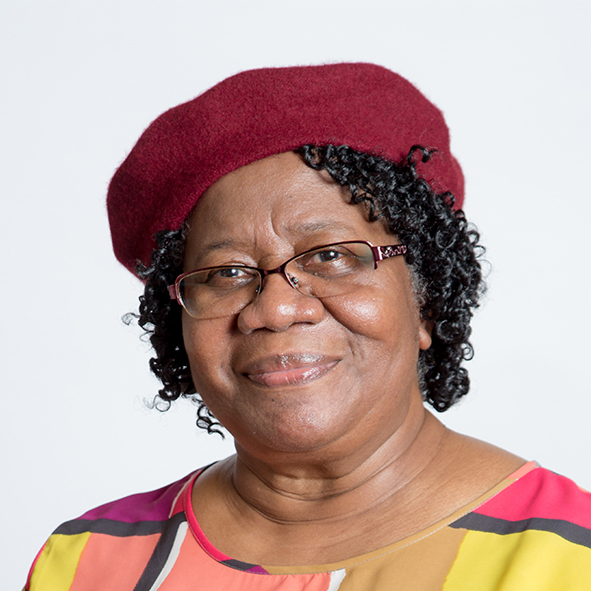 She joined PCF when she came to England in 1963 attending with her older brother Pastor Joseph Daniel and his wife Mother Daphne Daniel who looked after her.Helena was baptised in 1966 and has been walking with the Lord ever since and is now a Deaconess of PCF. She became an officer of PCF in 1976 under the leadership of the late Pastor Wood, because she wanted to serve the church using her passion to help and encourage others. Her strength is in talking and listening to people, being a source of great advice and praying for people. Helena is now retired but worked for the NHS as a Health Care Assistant for 21 years. Before that, she worked for the DFES and also as an accountant clerk for Enterprise.